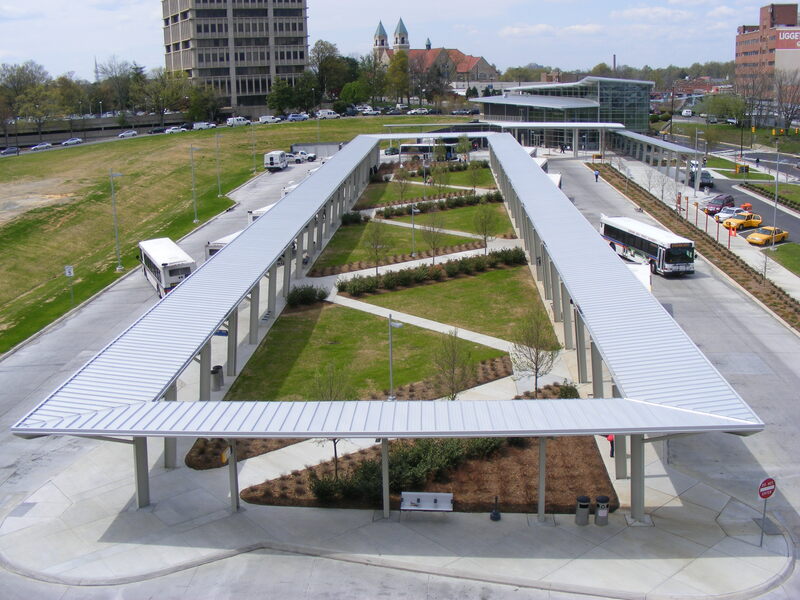 A multi-model transportation center in the heart of Durham providing pedestrian, taxi, and local, intercity and regional bus service. 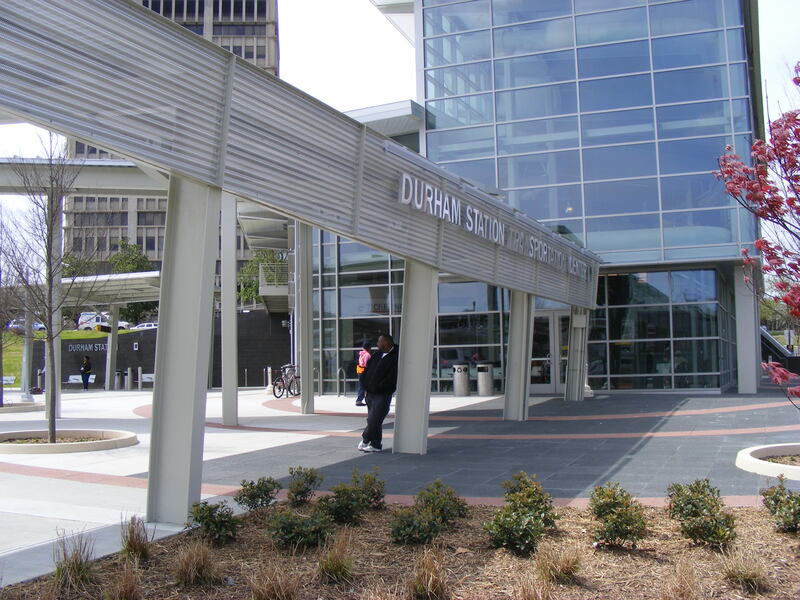 Durham Station is at the center of the Durham transportation system, which serves 15,000 people daily. Handed project at 100% CDs, however, Public Works review and Department of Insurance reviews not yet started. Took over project in April and issued NTP for site package in August. Highly visible project far behind schedule and over budget. Developed 4 separate bidding packages. An early site package identified and quantified contaminated soils to minimize risk to budget. 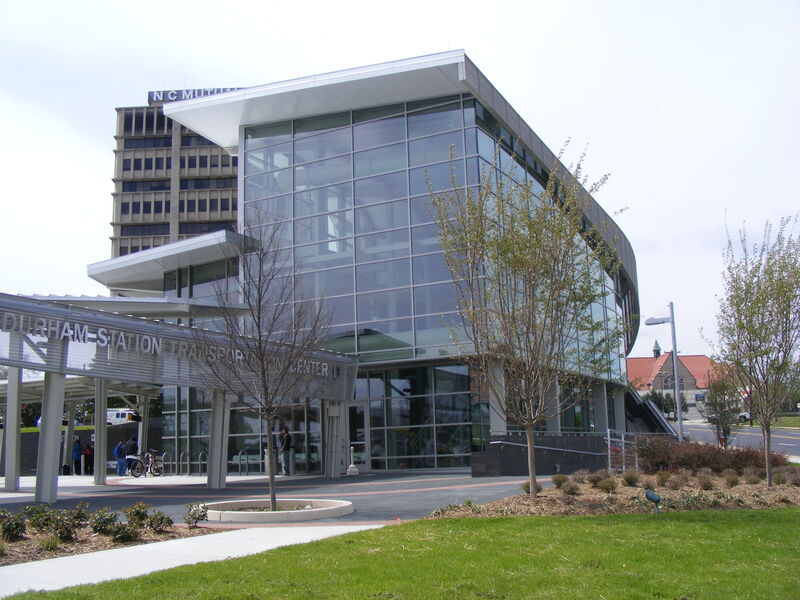 Remaining packages (steel; site utilities/glass/concrete paving; remaining building) were let as project was brought within budget and, equally critical, remained on schedule despite long-lead items. Managed multi-jurisdictional negotiation and reviews with NC Dept. 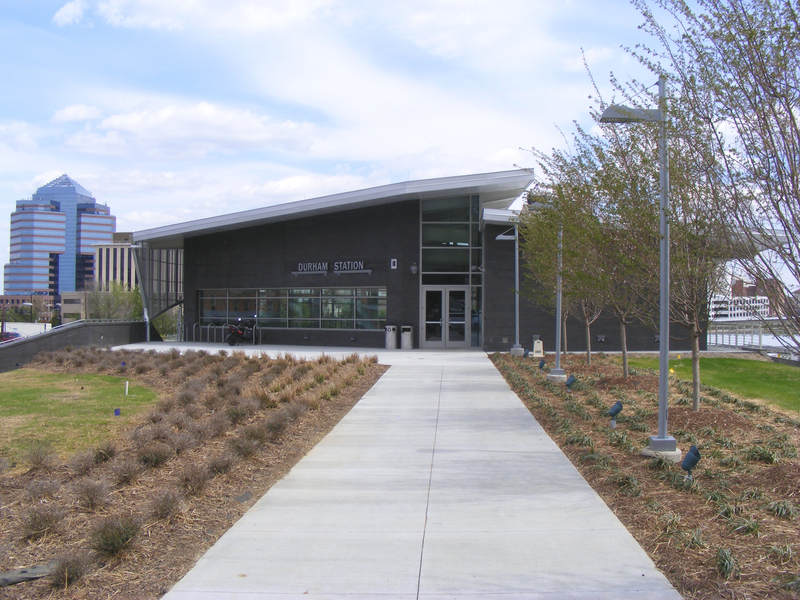 of Insurance, City of Durham, and NC DOT as well as met requirements associate with federal and state funding.